An MSP installs six firewall/VPN appliances and a backup appliance for its audiology customer. Word-of-mouth recommendations are always appreciated, particularly when they lead to managed services contracts that span a variety of different services. Such was the case when Monte Monteleagre, president of MSP (managed services provider) EGiS Technologies, received a call from ASI Audiology & Hearing Instruments out of Iowa. ASI was having IT troubles and was unhappy with its current solutions provider. Management reached out to their accounting firm and asked if they could recommend an IT provider. Coincidentally, the accounting firm was utilizing the services of EGiS and was quite satisfied — enough so to recommend ASI to EGiS. Monteleagre recalls an initial meeting and presentation before being awarded the business. During the discovery phase, the MSP says they learned that ASI had a couple significant IT issues. First, the firewall/antivirus solutions ASI was using were in bad shape. “The hardware was antiquated, the devices weren’t being managed, and they were poorly configured,” he says. “They had an outdated subscription so they weren’t safe from the latest security threats, and there were no alerts set up to warn them if something was wrong.” In short, the previous IT provider did minimal configuration and wasn’t managing the devices. Additionally, Monteleagre says that the company had poor backups both on- and off-site. For a time, EGiS did its best to support the existing hardware and software ASI was using. Eventually, Monteleagre says, a decision had to be made to either keep the old technology or invest in new. To get their firewall appliances up to date, ASI would not only have to pay for a new subscription, but there was a fee that would be assessed to get them current. The cost of updating the old hardware was close to the cost of buying the latest generation of new equipment, so ASI opted to spend a little more and get a total overhaul. 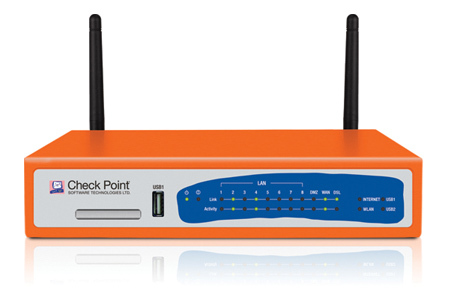 EGiS recommended Check Point 620 appliances, which include firewall, VPN, intrusion protection, antivirus, antispam, application visibility and control, URL filtering, and email security for up to 20 users. Monteleagre finds these devices to be great for his SMB customers since there’s so much functionality built into one appliance. The 600 series is also available in models that can accommodate up to 100 users. With the initial purchase, ASI received a year of free updates. 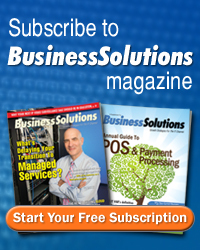 Beyond the first year, a subscription for updates is required. The MSP says the installs went smoothly, but could have been difficult, if not for the preparation that took place prior to the switchover. “Two potential problems when configuring firewalls and VPNs is that you need to know the PPPoE [Point-to-Point Protocol over Ethernet] passwords and MAC addresses for the Internet connection,” he says. “This information is seldom documented by the customer and can be challenging to obtain from the ISP, particularly in rural areas like we have in parts of Iowa.” In this case, EGiS’ technicians did their homework and, over the course of one day, drove around to the five different locations to install and configure the Check Point 620s. Since the initial rollout, EGiS installed a 620 at one additional ASI location. Each of the appliances cost approximately $600. In addition to addressing the security challenges of the customer, Monteleagre says EGiS also solved ASI’s backup problems by installing a Datto Alto XL2000 appliance. The XL2000 has 2 TB of storage and includes hot swappable drive bays if more storage becomes necessary. Each backup is automatically verified, giving ASI peace of mind that its important data is being archived. Another benefit of the XL2000 is that backups can be mirrored to the secure Datto cloud, giving ASI off-site backups and a second copy of its data in the event of loss. Finally, if data needs to be recovered quickly, backups can be restored in the cloud as a virtual machine in a matter of minutes.